Decision to quit the NDA will be possibly announced after TDP politburo meeting on March 16. 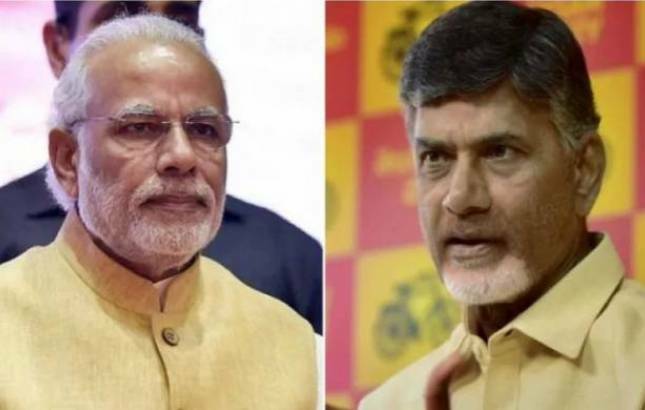 Days after pulling out its ministers from the Union Cabinet over no Special Category Status (SCS) to Andhra Pradesh, the Telugu Desam Party (TDP) is all set to leave the BJP-led National Democratic Alliance (NDA). The party will decide on splitting away from NDA in a politburo meeting to be held on Friday. A formal decision to quit the NDA will be possibly announced after the TDP polit bureau meeting on March 16. The meeting will be chaired by Andra Pradesh Chief Minister N. Chandrababu Naidu. TDP called for a politburo meeting to pull out from NDA after actor and Jana Sena Party founder Pawan Kalyan alleged corruption of IT Minister Nara Lokesh at a public meeting in Guntur. Significantly, the TDP has decided to support a no-confidence motion against the NDA government in the Parliament on Friday by the YSR Congress Party. The motive of the no-confidence motion moved by the YSR Congress Party is to highlight SCS and other demands in the Parliament. The TDP setting aside political differences with YSR Congress Party decided to support the no-confidence motion as it concerns the interests of the state. TDP chief Chandrababu Naidu was under pressure from YSR Congress chief Jagan Reddy, who dared him to pull out of the alliance. Reddy had alleged Naidu of fearing to pull out from the alliance as he was afraid of “witch-hunting” by Prime Minister Narendra Modi and BJP chief Amit Shah. "We will support the no-confidence motion whoever files it," confirmed Naidu.